NEW YEARS SALE!!!! - $3.99!! Get your housecleaning organized for only $0.83 a month! Cleaning has never been easier! 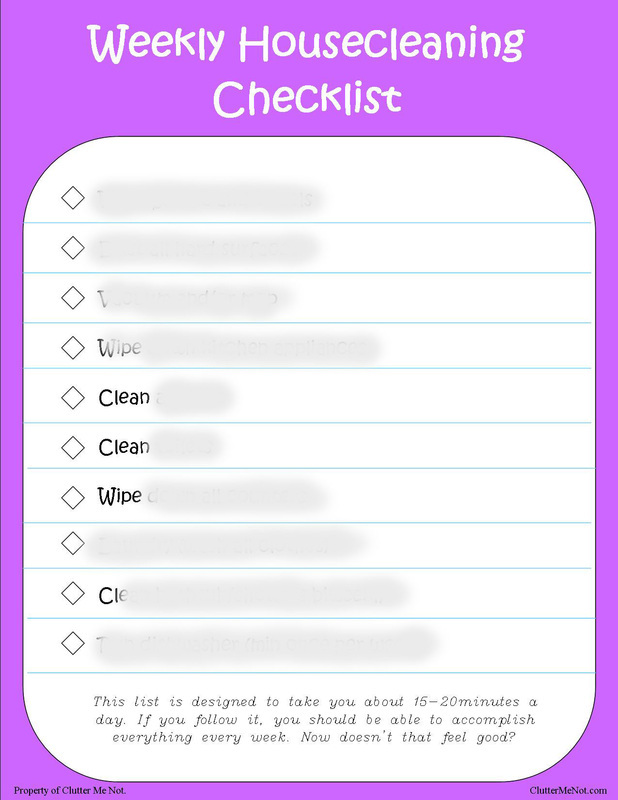 These fun colored and easy to use checklists are designed to help you keep your house cleaned. maintained, and organized in a simple-to-use format! All lists are designed to be accomplished in very little time. If you have an extra 15 minutes to spare, you can maintain your home with ease. 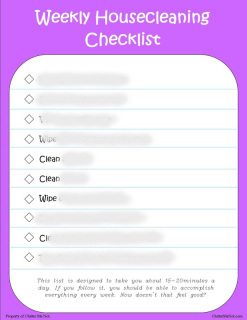 There are four different checklist (Weekly, Monthly, 3-6 Month and 6-12 Month) sized to a regular sheet of paper. Print them and use them as needed or put them into your Household Binder and refer to them often. I like to use mine in a sheet protector so I can check off what I have accomplished with a dry erase marker and then wipe it clean when I want to reuse them! Full Checklists will be emailed to you upon receipt of payment. Please include your email address in the note section during checkout process. Checklists are Property of Clutter Me Not and are not intended for redistribution or resale.